Smith-Victor is known well among the photographic community for producing quality lighting, tripods, and other accessories for photographers and videographers alike. 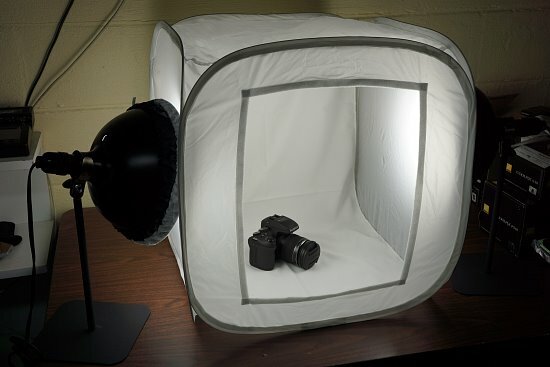 While most of their gear is aimed at professionals in these industries, who demand quality products, with their newer ImageMaker Plus Light Tent Kit, SV has produced a light box all-in-one solution that's perfect for the average individual who can't afford to spend hundreds or thousands on a lighting setup. The ImageMaker Plus kit was designed to allow you to capture high-quality product shots of various small to mid-sized items; which they claim will all you to "increase your internet sales". 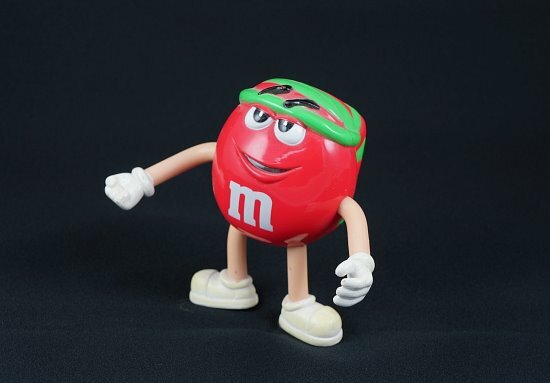 This is actually quite true, and many eBayers and the like will agree; the better the quality of your product photos; the better the chance you have of quickly moving your items. 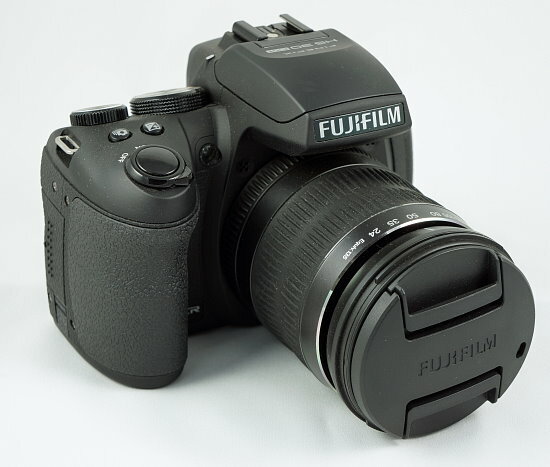 The average eBayer doesn't have hundreds of dollars to spend on a light box and lights to snap photos of items they want to sell, and that's were the ImageMaker Plus kit really shines; it's affordable. 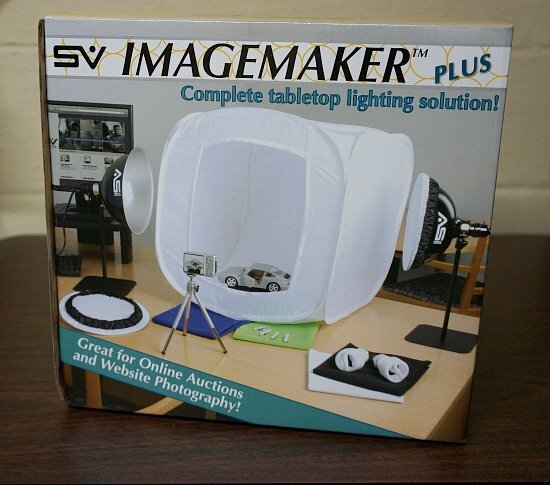 Right now on Amazon.com, the SV ImageMaker Plus kit is only about $95. 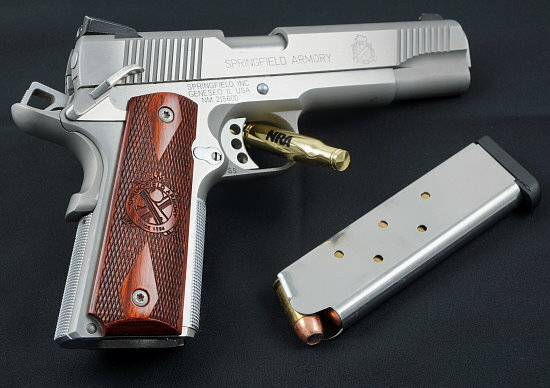 When you consider what's included (more on that below), that's a pretty good price. So, if you're one who likes to sell items on Ebay, Craigslist, or one of the thousands of online forums; you'll want to check out the Smith-Victor ImageMaker Plus kit. SV was kind enough to send us one of their ImageMaker Plus kits for evaluation. When the box arrived, I was surprised at it's size. 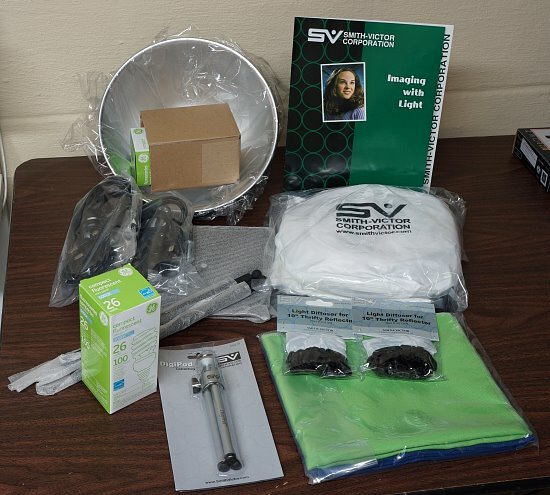 Looking at the specs of the SV kit, the light tent alone is approx. 20x20x20-inches, however the box it came was about half that size. This is yet another cool feature about the ImageMaker Plus kit; it's collapsible. The tent folds up, and includes a handy storage bag. Add up the above, and you can see at less than $100, the ImageMaker Plus kit has a lot to offer. Setting up the lighting kit took me about 20 minutes, and this included some time to snap pictures along the way. The most labor intensive part is building the two 10-inch lights, which is pretty straight forward. The included instructions are a little vague, but if you have just an ounce of common sense you'll have the kit together in no time. 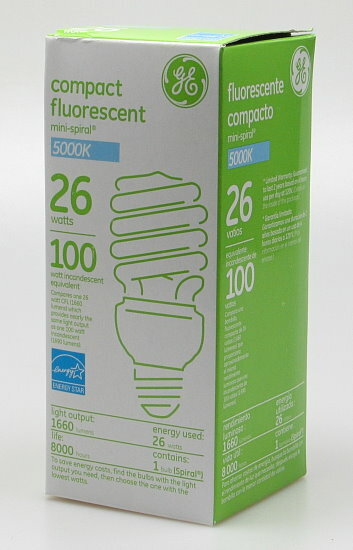 Here we can see a close-up of one of the compact fluorescent bulbs they included with the kit. These bulbs put out an equivalent amount of light (1660 lumes) when compared to a 100-watt incandescent bulb. However, they last much longer (up to 8000 hours), use less energy, and put off less heat. 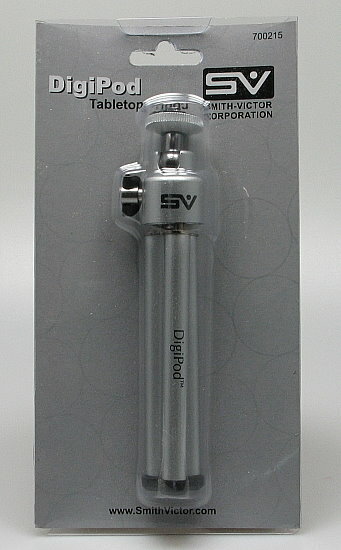 Above is a close-up of the included tabletop tripod with ball head mount. While this is not the most ideal tripod, it will get you by until you can upgrade to a sturdier model. Having a large tripod gives you greater versatility in shot composition, and thanks to the tent's large opening, you have a great deal of composition opportunities. 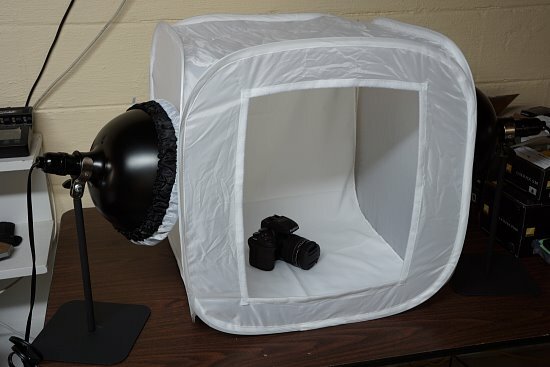 The included light diffusers help soften the light even more, and they use a material that appears to be identical to that of the light tent's. By further diffusing the light, these units help soften the output, which produces a more natural looking light source with less shadows; compared to full on direct light form the reflectors alone. 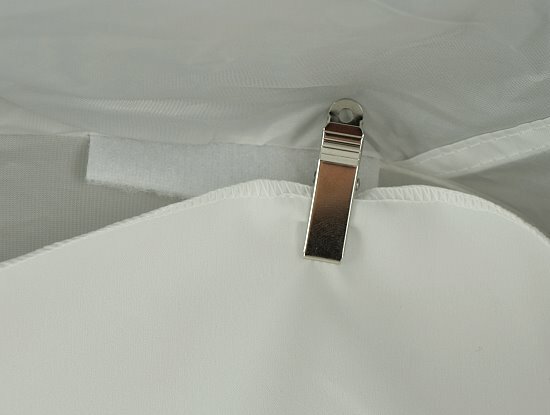 To help hold the background sweeps to the tent, SV has Velcro tabs located at the top and sides along the back of the tent; and they include four little alligator clips with Velcro attached to their back. You simply attached the Velcro, then use the alligator clips to hold the fabric. I found the easiest way to do this was to flip the tent up on its back, then reach inside; trying to reach in from the front and attach the fabric to the clips was daunting to me. Lastly, here we can see two photos of the booth ready for action (with the lights off and on). 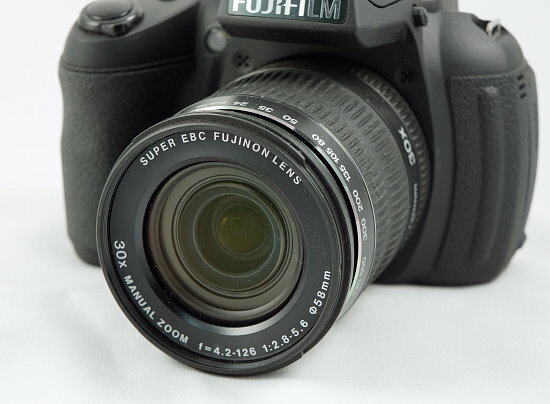 For our testing purposes, we decided to use the tent to create some product shots of the FujiFilm HS30EXR we have in for review. The results were quite pleasing, with my only complaint being that you could see some creases in the fabric at times. I think carefully ironing the fabric would take care of those, since the folds were in the fabric from the way it was packaged. Switching the backgrounds was simple with the method I described above, taking about a minute to swap from white to back for our example shots. 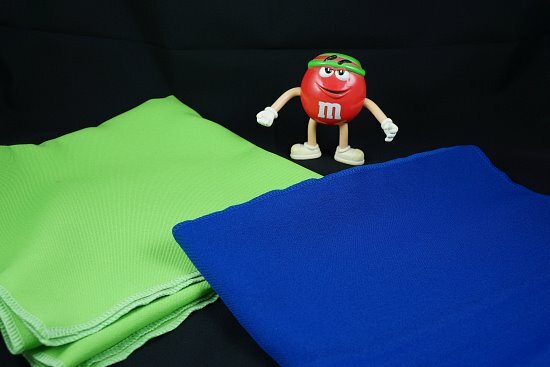 Having the selection of White and Black is great for various types of products, and the chroma-keys (Blue for Film cameras, Green for Digital cameras) allow you to easily change the background later on your PC with an image editing software of your choice. 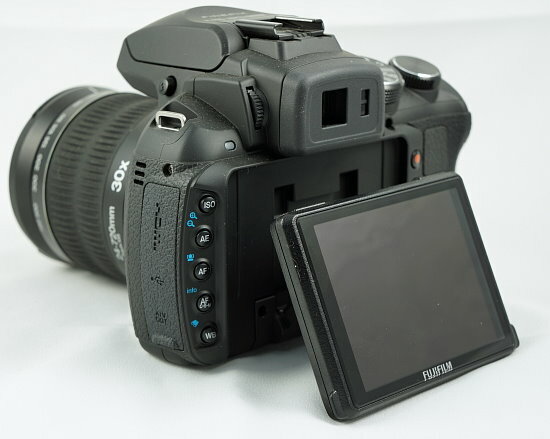 Below you can see a few examples of the images were able to capture with the ImageMaker Plus lighting kit and a Sony NEX-7 camera mounted on a Manfrotto tripod. Images received only minor adjustments (resizing, sharpening, etc.). Click to enlarge. Bottom line - The Smith-Victor ImageMaker Plus lighting kit does what they claim - it allows you to capture high-quality product photos of items, without breaking the bank. The quality of the materials included in this kit are great; with the exception of the tabletop tripod, which isn't very sturdy. That said, with a street price of $95 USD or less, the kit offers great bang for your buck, and thanks to the fact that you can easily break the kit down; it can be tucked away so it doesn't always take up precious real estate on your table or desk. Check out Amazon.com to get you SV ImageMaker Plus kit today! 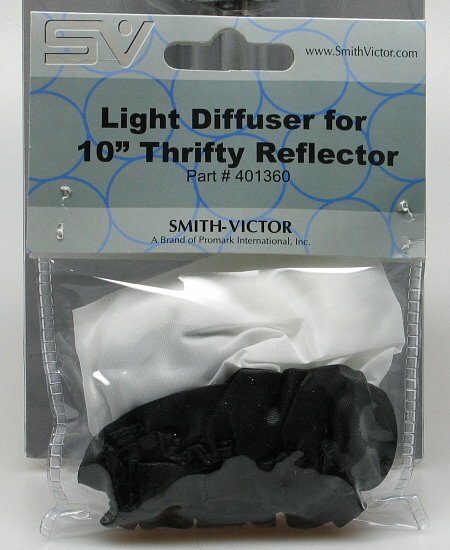 Visit Smith-Victor's website for more information about their products.